These unique and contemporary LED Floating Pool Lights will create an amazing effect on your pool, spa or water feature, making the surface glitter and glow. 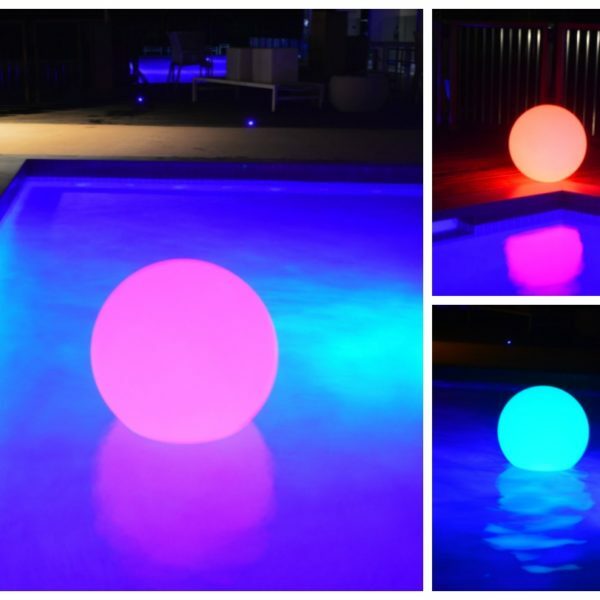 Stand out from the crowd and be proud to show off this stunning LED pool light decoration. Change the colour of the light to suit your surroundings, create a warm glowing ambiance or a more lively party strobe or flash. Use the wireless remote control to change colours and flash modes. The lamps have a partially flat base so they can also sit on a flat surface too if you wish to use them outside of the pool. Just put the LED floating pool lights on their base to recharge and then enjoy hours of delightful light. This listing is for three x 35cm LED floating pool lights only.